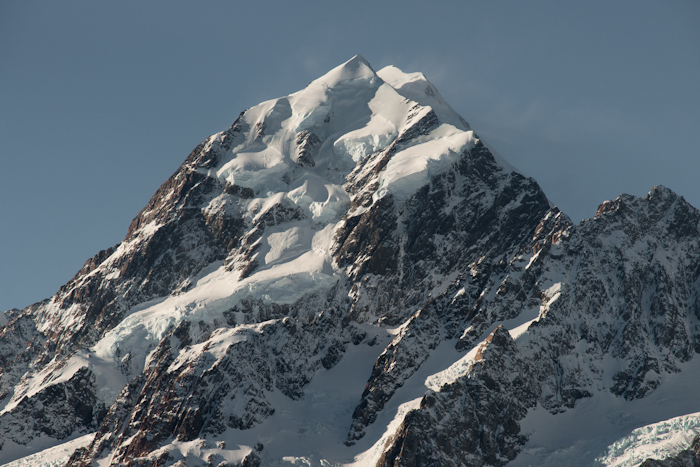 On my way…to Aoraki Mount Cook and looking up I see a face (draw a line down from top/centre to near the top of the mountain, click on image for a larger preview). It bothers me. I see such a cold and lifeless expression and interpret it as a warning…this is not the time to be on this mountain. Looking at the landscape this way reminds me of seeing animals in the clouds and reading tea leaves…and smoking them? You may ask. Although from time to time I’m sure we all look at the landscape and nature for signs in a way that makes us feel we are part of something, a connection…real or imagined.